Here I share a speech given by Kevin Rudd, former Prime Minister of Australia, at West Point in March 2018. This speech is an in-depth analysis on China and Xi Jingping. The speech is quite long and really worthwhile reading. This text is available to me thanks to Bill Bishop, author of The Sinocism China Newsletter. He published the full speech in a recent mail. Please take a look at his webpage and consider a subscription: https://sinocism.com. Next week marks the 216th anniversary of the founding of the West Point Military Academy. Its founding came less than 20 years after the defeat of the British at Yorktown in 1781. It followed the decision by President Thomas Jefferson to establish the United States Military Academy just after his inauguration in 1801. Indeed, the United States continental army first occupied this place on 27 January 1778, barely two years into the Revolutionary War, when things were not proceeding all that well against the British in that great conflagration. So, you have been here at West Point since virtually the first birth-pangs of this great Republic. As for Australia, proudly an ally of the United States since we first fought together in the trenches in 1918, our short history, at least as a settler society, has been considerably more recent than either China or the US – although our indigenous peoples, Aboriginal Australians, are the oldest continuing cultures on earth, going back 60,000 years. Because Washington’s continental army prevailed at Yorktown in 1781, not only did Britain lose these colonies, it also lost its convict dumping ground at Savannah Georgia. Back in the British Admiralty, after the Treaty of Paris in 1783, they dusted off the navigation charts of James Cook taken some 13 years before, and in 1788 established a convict colony and the first European settlement in what we now call Sydney, Australia. There has been a tacit assumption, at least across much of the collective West over the last 40 years, that China, step-by-step, was embracing the global liberal capitalist project. Certainly, there was a view that Deng Xiaoping’s program of “reform and opening” would liberalize the Chinese economy with a greater role for market principles and a lesser role for the Chinese state in the economy. That is no longer the case. Xi Jinping has realized that if you remove the Party as an institution from continued structural relevance to the country’s real policy decision-making process, the party over time would literally fade away. As a person who believes deeply not just in the Party’s history, but also the Party’s future, Xi has not been prepared to stand idly by while that happened. Xi has now intervened decisively to reverse this trend. Few people seemed to have understood that a core part of Xi Jinping’s intellectual make-up is that he is a Marxist dialectician. This derives from the Hegelian principles of “thesis, antithesis and synthesis”. Or in Chinese Maoist terms: “Contradictions among the people”. This forms a deep part of Xi Jinping’s intellectual software. Indeed, the importance which Xi attaches to this as an intellectual methodology led him to conduct two formal Politburo study sessions on both “historical materialism” and “dialectical materialism” in 2013 and 2015 respectively. As a dialectician, Xi Jinping is acutely conscious of the new social, economic and political forces being created by China’s “neo-liberal” economic transformation. He would also understand intuitively the challenges which these new forces would, over time, represent to the Party’s continuing Leninist hold on power. Both he and the rest of the central leadership have read development economics. They are not deaf and dumb. They know what the international literature says: that demands for political liberalization almost universally arise once per capita income passes a certain threshold. They are therefore deeply aware of the profound “contradiction” which exists between China’s national development priority of escaping the “middle income trap” on the one hand, and, unleashing parallel demands for political liberalization once incomes continue to rise on the other. In policy terms, China’s first phase of economic reform (1978-2012) was characterized by small-scale, local family enterprises, involved in light industry; low-wage, labor-intensive manufacturing for export; combined with high-level state investment in public infrastructure, including telecommunications, broadband, road, rail, port, power generation, transmission and distribution. It’s important to track over the last five years what progress and regress has occurred across the 60 specific reform measures articulated in the decision of March 2013. The core organizing principle across the reform program was that “the market would play the decisive role” across China’s economic system. The Asia Society Policy Institute, of which I am President, in collaboration with the Rhodium Group, has been producing over the last six months the “China Economic Dashboard”, which looks in detail at the ten core barometers of economic change. What we have concluded is that China has made progress in two of these. First, in innovation policy, where China has made measurable strides, both in policy direction but more critically, in defiance of the usual skepticism about China’s capacity to innovate, in actual economic performance. Second, we also measured progress in Chinese environmental reforms, in particular the reduction in the PMI measures of air pollution across China’s major cities over the last two years. However, in five of ten areas, we’ve seen China at best marking time: investment, trade, finance, SOE and land reform. And finally, in fiscal policy, competition policy and labor reform, we see evidence of China sliding backwards against the reform direction it set for itself five years ago. 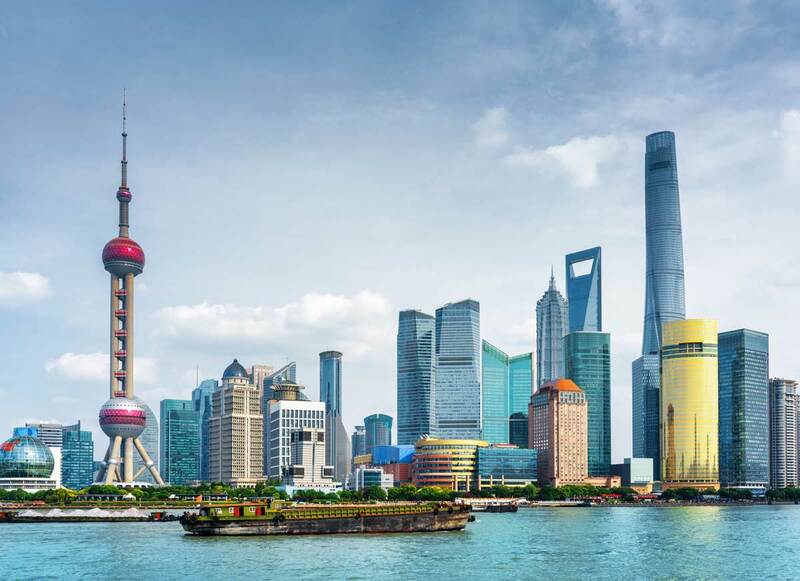 Each of these are the subject of considerable debate across the Chinese economic analytical community, particularly given the perennial problems we all face with data. Nonetheless, only the bravest official commentators in China could now point to 2013-18 as a path-breaking period of economic reform. It has at best been slow. This brings into sharp relief the content of the government work report on the economy delivered at the National People’s Congress in Beijing in March 2018. Once again, precisely five years down the track from the original documents, the analytical community will pore over the entrails to analyze whether the spirit of market-based reforms continues to flourish for the future. Or whether it has begun to fade amidst a more general Chinese political and ideological redirection to the left. Or just as problematically, for economic reform to die at the implementation level because of confusing political and policy signals from the center, meaning that it is much safer to just keep your head down. Or because there are limited local incentives, either personal or institutional, to actively prosecute reform which inevitably generates local conflict with deeply entrenched vested interests. Or, more likely, an unholy cocktail of the above, collectively reinforcing a natural predisposition towards bureaucratic inertia. Certainly, those at the center of China’s economic reform team, including Wang Qishan, Liu He and Wang Yang, understand the absolute imperatives of implementing this next round of economic reform. They know from bitter experience that to stand still is in fact to go backwards. And they understand in particular that the only source of employment growth in China’s economy over the last five years has come from the private sector, not SOEs, as China each year is required to absorb 20 million new workers into its labor force. So, on the future direction of China’s economy, the jury is still out. Have we also reached a new “tipping point”, as we appear to have done in Chinese politics? Or will this be a more sophisticated Chinese play, consistent with one of the deeper aphorisms of Chinese politics, that “in order to go right on the economy, you must go left on politics” in order to sustain to internal “balance” of the system? The next 12 months with China’s new economic team will be critical. There is always a danger facing foreign policy and security policy specialists when they seek to understand and define the capabilities, strategy and worldview of other states. There is always a temptation, given the analytical disciplines we represent, to see these “external” manifestations of state behavior in the international realm as independent phenomena. The reality is that any country’s worldview is as much the product of its domestic politics, economics, culture and historiography, as it is the product of the number of guns, tanks and bullets held by ourselves, and by those around us. That’s why I’ve sought to emphasize in this presentation so far the domestic drivers that underpin China’s emerging worldview. It’s important to bear in mind that those who ultimately shape Chinese strategy, like American strategy, are those who are equally engaged in the domestic affairs of their nations. There is no longer a clinical distinction between the foreign and domestic, the international and the national. 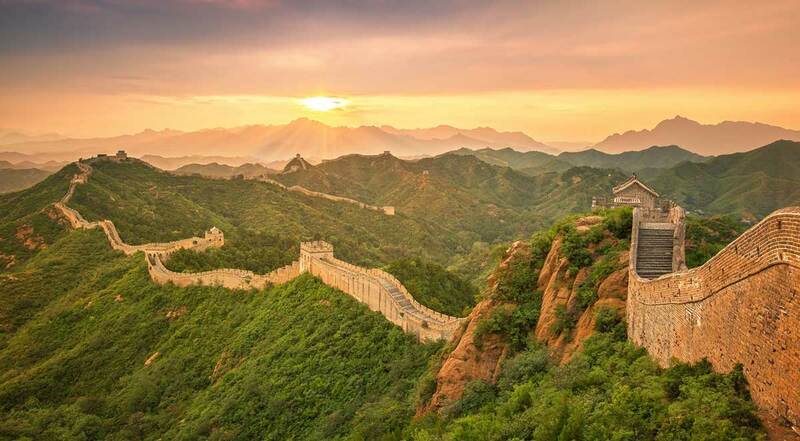 Therefore, understanding the domestic imperatives of China’s leadership is the beginning of wisdom in understanding the emerging patterns of China’s foreign and security policy behavior. The fourth in this widening series concentric circles relates to China’s fourteen neighboring states. Neighboring states occupy a particular place in China’s strategic memory. Historically, they’ve been the avenue through which China’s national security has been threatened, resulting in successive foreign invasions. From the Mongols in the North in the 12th century, to the Manchurians in the North East in the mid-17th century, to the British, French, the Western imperial powers including the United States, and then the absolute brutality of the Japanese occupation from the East. For these reasons, modern Chinese strategic thinking has explored different approaches. First and foremost, through political and economic diplomacy, China wishes to secure positive, accommodating, and wherever possible compliant relationships with all its neighboring states. But beyond that, China is also in search of its own form of strategic depth. We see this in China’s political, economic and military diplomacy across its vast continental flank from Northeast, through Central to Southeast Asia. We see this thinking alive in the Shanghai Cooperation Organization. We see it alive in the Conference on International Confidence Building in Asia (CICA). We see it also with the Continental Silk Road, and the Maritime Silk Road initiative which charts its course across the Indian Ocean to the Red Sea and now the Mediterranean. And beyond that we see the Belt and Road Initiative, or BRI. The strategic imperative is clear: to consolidate China’s relationships with its neighboring states. And by and large, this means enhancing its strategic position across the Eurasian continent, thereby consolidating China’s continental periphery. China’s strategy in response to this is clear. It seeks to fracture US alliances and has said as much repeatedly in its declaratory statements. Its position is that these alliances are relics of the Cold War. China’s deepest strategic concern about the peaceful reunification of North Korea lies in potentially having a unified Korean Peninsula, as a US ally, positioned on its immediate land border. China’s deeper response to its strategic circumstances is to enhance the capability of its navy and air force. Under Xi Jinping, the change in China’s military organization, doctrine and force structure has been profound. The army continues to shrink. The navy and air force continue to expand. Across Africa, China has laid out large slabs of the continent’s emerging infrastructure. Each of these projects is generating its own local controversies. But the remarkable thing about China’s strategy is its persistence and its ability to adapt and adjust over time. Multiple field studies have now been conducted by Western academics on Chinese investment projects in the developing world. Some have not been good. But what is remarkable is how many positive stories are also emerging, on balance. So, when China looks for local voices to support its interests, either in the United Nations or across the labyrinth of the global multilateral system, its ability to pull in political and diplomat support is unprecedented. There are many reasons to study China. It is an extraordinary civilization in its own right. It contains deep wisdom, generated over more than 4000 years of recorded history. China’s aesthetic tradition is also rich beyond all measure. It is easy to become lost in the world of Sinology. But the rise of China demands of us all a New Sinology for the 21st century. One which is familiar with the Chinese tradition. One which is clear in its analysis of contemporary Chinese politics, economics, society and China’s unfolding role in the region and the world. As well as a New Sinology which is capable of synthesizing the above. Bill Bishop started Sinocism in 2011 in Beijing, where he lived for many years. 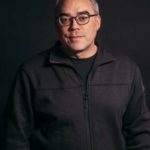 In 1997 he cofounded MarketWatch, later acquired by CBS. In 2012 and 2013, he wrote the China Insider column for the New York Times Dealbook. In 2015, he was named to Foreign Policy’s Pacific Power Index as one of 50 people shaping the future of the US-China relationship. He holds an MA in China Studies from Johns Hopkins SAIS, and a BA from Middlebury College. 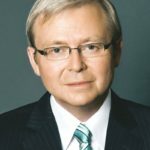 Kevin Rudd is fluent in Chinese and has several decades of experience working in and on China, including many meetings with Xi and Wang Qishan. He served as Australia’s 26th Prime Minister (2007-2010, 2013) and as Foreign Minister (2010-2012). He joined the Asia Society Policy Institute as its inaugural President in January 2015. ASPI is a “think-do tank” dedicated to using second-track diplomacy to assist governments and businesses in resolving policy challenges within Asia, and between Asia and the West.